have Sukhothai, Ayutthaya and Bangkok, Thailand has nothing left." more and more sites were tracked, visited and crossed out on Phraya Boran's photo paper. pace of the situation and distributed among the team. information was collected and web pages on temples and ruins created. 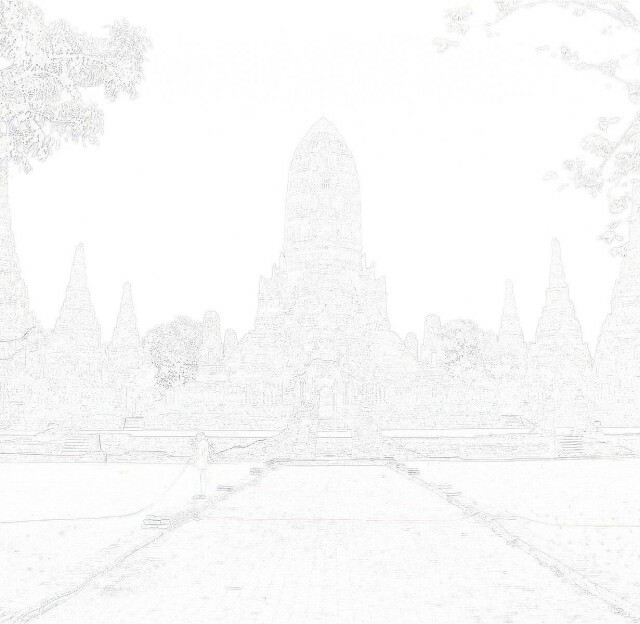 Lowlander bought a domain name and recreated a website: Ayutthaya-History.com. After a month the historical site was back on-line. used Thailand since the late seventies as a main hub for travel all over Asia and is quite acquainted with the country. mother tongue is relatively not wide spread, he used his third language to write the AHR website. documents and reports available through open sources, as well as by site visits and interviews of local villagers. brick and dirt mounds, although with a story; remnants which will vanish in time. This objective will be finally reached at the end of the rainy season 2010.
municipality and to elaborate on the former water canals, water gates, bridges and streets; especially the ones mentioned in the old chronicles of the city. Once the study of Phraya Boran Rachathanin's works finalized, other objectives are awaiting. RouteYou.com can now be found on the site: walking and bicycling routes, kayak and boat tracks; printable or up-loadable tracks for your Mobile or GPS. tourism studies students at the Rajaphat University Phra Nakorn Sri Ayutthaya. And this is how the Ayutthaya Temple Project began. Books released Road Rash: Western Tourists and Expatriates at Play in Asia's Global Village in 2002. Both books have now been entirely sold out. Additionally, he has contributed nearly 50 articles to a combination of popular websites and international guidebooks. included sociology, anthropology, history, gender studies, journalism, and English. last contribution dates from begin 2010.